Girls, Girls, Girls! 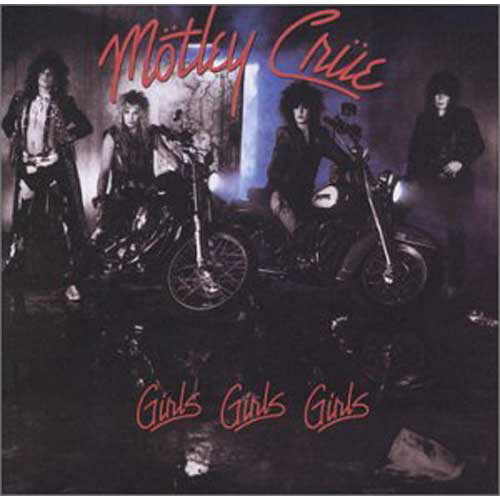 That Motley Crue classic might be a perfect theme song for public relations these days. But I gotta warn you, the video will set back women’s rights a hundred years! Link with caution! Public relations belongs to the “girls” in 2008. Some 70% of PR practitioners and 80% of PR students today are women. At Kent State it’s closer to 90%. In the communication biz, PR has become the new nursing. I know what you’re thinking: So what? Women do well in PR, don’t they? They do, indeed. But if you embrace diversity as I do, you have to worry about the trend line. Today’s public relations practice is out of whack gender-wise. The absence of men — particularly among the 20- and 30-somethings — hurts our profession and it hurts those who employ us. Men and women view the world differently. We bring different values to the table, thus different perspectives to PR problem-solving. So today I launch a one-man campaign to bring gender diversity back to public relations. Care to talk about it? I have the summer off! High school students don’t know about PR. Most freshman and sophomore men told us that studying PR was never a consideration before coming to Kent State. Even some of the seniors interviewed were unaware that Kent State had a PR major. Discussions among our own PR students (mostly women) reveal only about one in ten came to Kent State intending to study public relations. Most began in other fields and were drawn to PR through word of mouth. This also could explain why so few PR majors graduate in 4 years! High-school influentials know little about PR. While a good many of our young men at Kent State see PR as “liars for hire,” most seem to know of the skills it takes to succeed in the major. They correctly identify writing, public speaking and organizational as central to a PR career. Men in the large mass communication class (mostly freshmen) seem unaffected by the “chick” stereotypes voice by upperclassmen. More than 3 in 5 called the statement, “Men and women are equally suited to public relations jobs,” very accurate. But here’s a reality check for you: Not one of the 32 men in the freshman mass comm class has selected the PR major. Not one. Some of this is our own fault! Good luck researching the PR major on our main website or the School of Journalism site. Information is sparse and hard to find. Type the key words “public relations” into the School of Journalism site and you get — wow — nothing. The search feature isn’t operating at all. Type the same words into the Kent State site and atop the list is an item on “newsroom convergence” from our alumni magazine. Not one of the top-ten links leads to useful information on the major. Clearly, we need to work on our web content and our search engine optimization for PR. Face-to-face opportunities are overlooked, too. This year alone our Center for Scholastic Journalism will bring some 1,500 high school journalists to campus for 4 or 5 separate events. For each of those events, the PR major will supply only one guest speaker who will see about 40 students for about 30 minutes. That’s it. The other 1,450 students won’t hear a peep about PR during their visits to Kent. Too bad, because most are scholastic journalists won’t pursue journalism in college. And way too many won’t consider careers in PR, in part because we didn’t tell them about it. Oh yeah. The Center for Scholastic Journalism also hosts a handful of events for high school journalism advisers every year. What an opportunity to enlighten these teachers about careers in public relations. But we haven’t. Academic advisers on campus don’t know about PR, either. The advisers meet with some 3,500 incoming freshmen every year are without the information they need. Imagine if just a handful of them became messengers for public relations. We could do this with a handful of orientation sessions. But we haven’t. I’ll be the first to boast that we do a fine job preparing students to practice public relations, but we do a poor job managing our own. I didn’t need 14 PR majors in my Case Studies class to tell me this. Well, maybe I did. Survey a larger and move diverse group of college freshmen. Our one on-campus survey had some flaws, but it gave us a solid picture of how incoming students view PR. We should expand that survey to a sample of campuses around the country, and we should target students beyond those in “mass communication” courses. Interview a broader sample of teachers. Highschool journalism and English teachers can be key influencers, but we need more input to understand what they know and how we might assist their students. Interview high school journalism students who come to Kent State. It’s a convenience sample, to be sure, but it will help us better understand how these kids make career decisions. Some 1,500 of them will come to our campus next year. Why not talk to them? If you have more ideas, post a comment or send an email. Also, if you’re interested teaming up on some additional research on the topic, I’m all ears. Bill Sledzik is an associate professor in the School of Journalism & Mass Communication at Kent State University, Kent, Ohio. Bill teaches courses in public relations and media ethics. He blogs at Tough Sledding. Bill, I’ve commented on the series of posts you’ve had on this topic on your site, but will add a brief note here too: I think you are raising a very important issue, and I do hope that it gains the traction it deserves and gets discussed on a broader scale. Men and women approach problem-solving in different ways, and problem/issue resolution is a key part of effective client counsel. We also have different perspectives on program structure, and yes, even relationship-building. The lop-sided gender balance does present issues for PR. Thanks for raising an important issue.